“Birdbox” star Sandra Bullock is ready to fly away from her Georgia getaway. 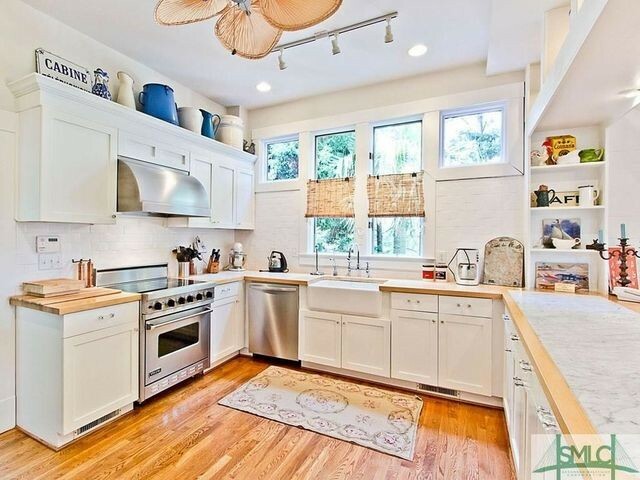 The “Ocean’s Eight” actress is listing her oceanfront beach house on Tybee Island for $6.5 million, TMZ has reported. In addition to being an Oscar-winning actress, Bullock also has a keen eye for real estate. The A-lister purchased the vacation home in 2001 for just under $1.5 million. But Bullock has already been reaping financial rewards from her investment. She’s been renting the home out for the last two years, at a whopping $1,400 a night, according to a report in Variety in 2017. Even so, we hope she’s not in a rush to sell. The asking price dwarfs other local homes on the market, with a median listing going for $499,900. With 279 active listings on the market, there are plenty of options to choose from at lower price points. There’s a lot to like here. Especially, if you, like the movie star, need to hide from the madding crowds. A huge selling point is that the compound on almost 3 acres “provides privacy unlike any other on this barrier island,” the listing states. The beachfront estate comes with a total of seven bedrooms and 5.5 bathrooms, with a 3,360-square-foot main home. Luxe perks include a gourmet kitchen, screened porches, a home gym, a basketball court, a pool, and access to a private beach. Plus, the bright and white space has a double-height living room, game area, family room, dining room, and a master suite. 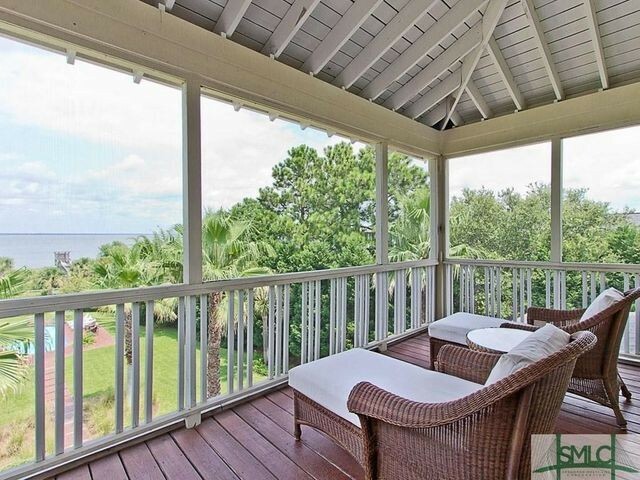 The property offers plenty of places to park yourself with a book and look at the beach. 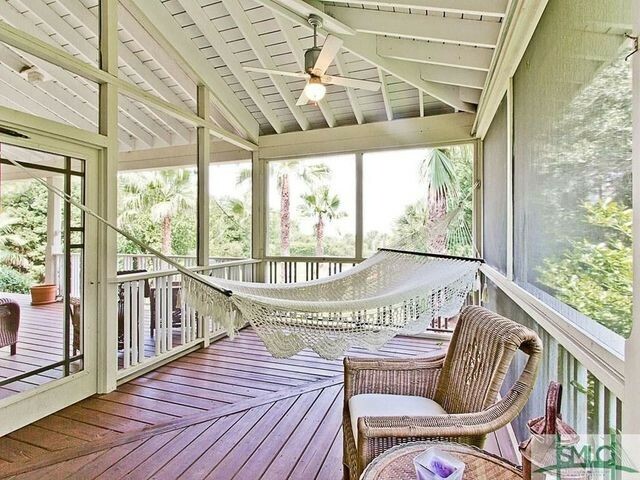 The home comes with multiple decks with water views, and a lounge area by the pool. Visitors also receive the star treatment. The 2,848-square-foot guesthouse features its own game room, outdoor grill, and a crow’s nest for taking in the ocean views. And yes, even though the price tag is large, the place does come furnished. With the exception of a few personal items, the listing notes, everything you see in the house is yours. So, along with the special space, you’ll also acquire a bit of Bullock’s decor. 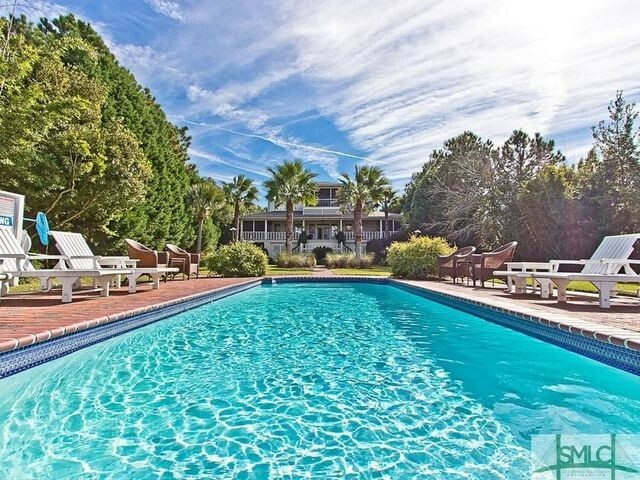 And, should you want to leave this beachy paradise, you’re only a 20-minute drive from downtown Historic Savannah. As we’ve previously reported, the 54-year-old owns a serious portfolio of luxury real estate. Along with property in Austin, TX, she also purchased a “legendary” $16.2 million estate in Beverly Hills. She owns two condos in the celeb-filled Sierra Towers in Los Angeles. Plus, there’s reportedly a New York City townhouse, a Victorian in New Orleans, and a cabin in Jackson Hole, WY. 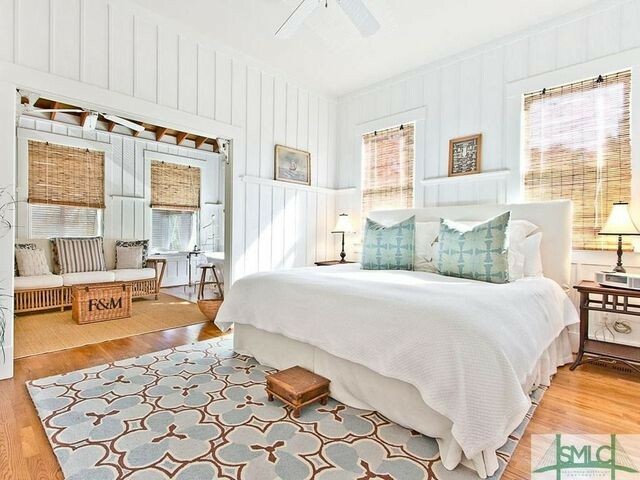 The post Sandra Bullock Selling Georgia Island Beach House for $6.5M appeared first on Real Estate News & Insights | realtor.com®.